he flavor varies a bit with root color, but all are tender, sweet, and flavorful. 7-9" tapered roots with strong tops. 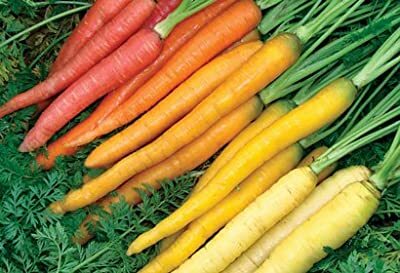 Because Rainbow is a single variety with color variability, it will mature uniformly, unlike colored carrot mixes created using several different varieties. Medium-tall tops.